Relax on zero-gravity chairs as soothing music is played and the lights are dimmed. 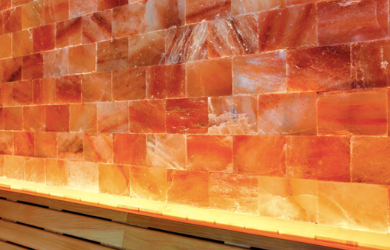 The air will be infused with micro-particles of salt that is absorbed through the skin and deep into the lungs. Our caves are the perfect place to relax and heal your mind and body. 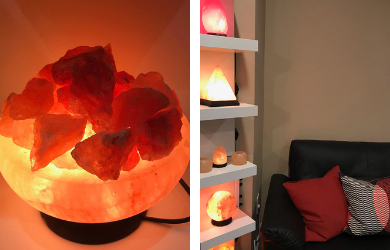 This form of prescription-free therapy is thought to provide a healthy amount of negative ions to guests, which can help counteract an overabundance of unhealthy positive-ions. This balance is thought to produce benefits ranging from stress relief and better sleep to reduced inflammation, increase immune system & cardiovascular system, and acne relief! Dress comfortably and plan to remove your shoes and bring light colored socks; no bare feet. The climate in the caves is kept at a temperature of 68-70 degrees Fahrenheit. Walk-ins are welcome but are not guaranteed a spot. Please call us at (951) 704-7420 to reserve your spot.